Ever since the Pakistani film industry revived itself we noticed that the audiences prefer to watch light hearted comedies here. However, on the international level this formula does not work all the time as the story content is of utmost importance when talking about film festivals abroad. With short films like Rani and then Gumm winning accolades all over we were also thrilled to see Load Wedding getting the recognition it deserved as it got nominated for best feature in Jaipur Film Festival, India. Thrilled actress Mehwish Hayat and director Nabeel Qureshi, took to Twitter to announce the news. "Very proud to share that our film "Load Wedding" has been nominated at the Jaipur International Film Festival. Amazing achievement when we can hold our own with the best of them," wrote the starlet. Load wedding is a romantic social comedy film, written mutually by the director Nabeel Qureshi and the producer, Fizza Ali Meerza under the banner of Filmwala Pictures. 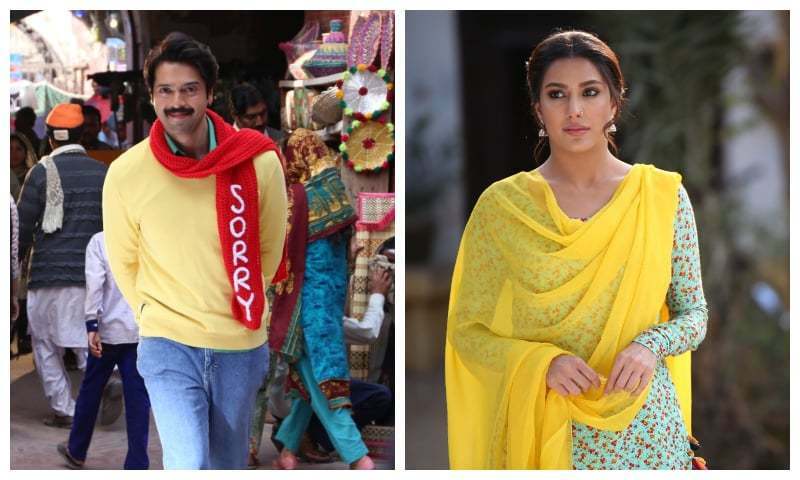 With Fahad Mustafa and Mehwish Hayat in lead roles, the film had released on Eid ul Azha this year . The Jaipur Film Festival is all set to begin from 18th till 22nd January 2019 and we couldn't be more thrilled for the entire team as this is a platform where people get a chance to view best films from all over the world.